We’re all sick of talking about red states vs. blue states, so let’s get some way more delicious rivalries going, shall we? This year, in honor of National Cookie Day — really! It’s a thing! Hallelujah! 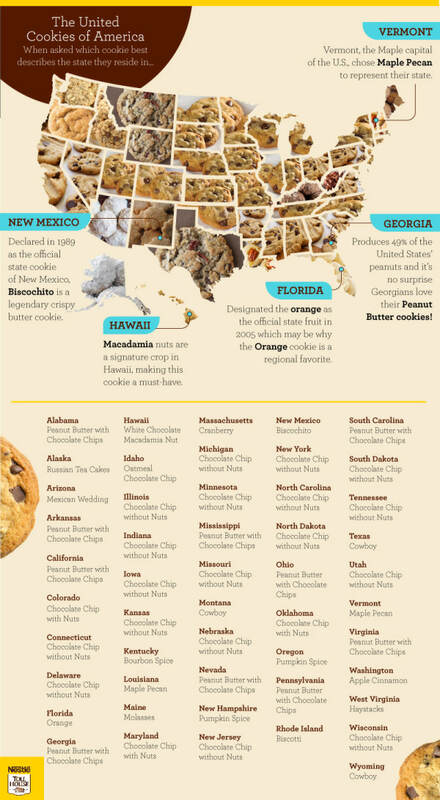 — Nestlé Toll House was determined to get to the bottom of which cookie best represents each of the 50 states. National Cookie Day is Monday, Dec. 4, so you’ve still got time to bake a batch (or three) and show your state cookie pride! Ready for the fun results of the Nestlé Toll House cookie survey? Yeah, we thought so. Because there’s never a bad time to talk cookies. A lot — and we mean a lot — of states swung chocolate chip cookie, the great granddaddy of all American cookies. But it was a hotly contested debate: with nuts or without? Voting for nuts: Maryland and Colorado. But most chocolate chip states (Nebraska, Minnesota, Wisconsin, Utah) reported they like their cookies nut-free, thank you very much. Some states went rogue and voted for local flavors. Case in point: Hey, Georgia! We see you there, producing 49 percent of the country’s peanuts. We’re not one bit surprised you guys are all about peanut butter cookies. There were some surprises too — delectable cookies we have yet to have the pleasure to meet. Texas and Wyoming, you bake with your cowboy boots on, don’t you? We hadn’t heard of the cowboy cookie until just now, but you can bet your saddle we’ll be whipping up a batch soon to give them a whirl. New Mexico, same goes for you with your droolworthy biscochito, a crispy butter cookie. Mmmmm. Yes, please. And Massachusetts went with one of New England’s fave flavors: cranberry cookies. So be sure to check out the map and see where you live in the United Cookie States of America. In the meantime, we’re going to look up the recipe for West Virginia haystacks! Or maybe Hawaii’s macadamia nut cookies. 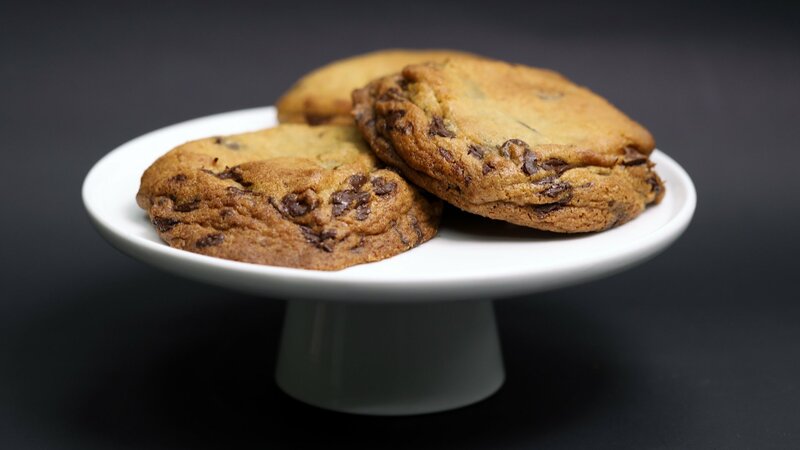 Or… can we just make it National Cookie Week?